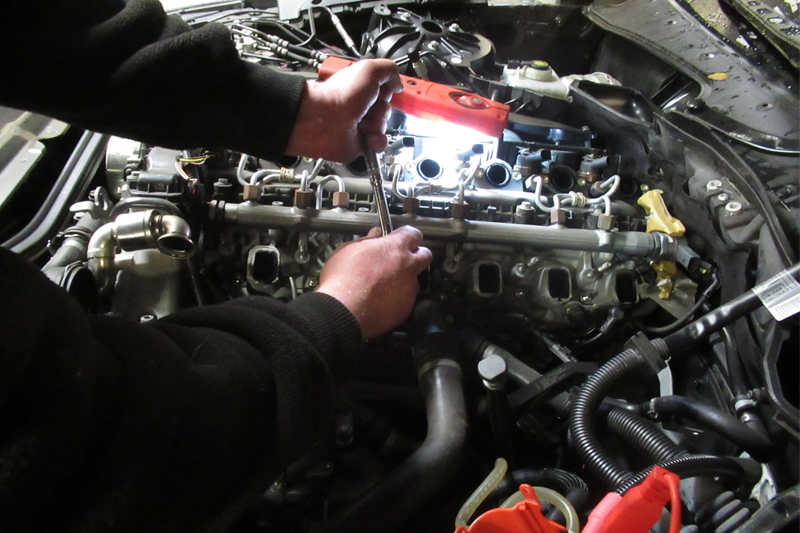 In the first of his regular columns for PMM this year, Darren Darling, founder of the DPF Doctor Network, runs through how he tackled a recent DPF issue on a BMW 525D. The vehicle was presented to us after the customer’s regular garage had diagnosed a blocked DPF and attempted a forced regeneration. As with any DPF problem, we start with our own assessment to determine why the DPF has blocked, and to gain a clear picture of what’s needed for a successful first time fix. The DPF was badly blocked, with DPF back pressure of 534mb at idle and fault codes 4212 (Glow plug cylinder 1 activation), 480A (Particle Filter System), 481A (Particle Filter System), 4D00 (Exhaust back pressure sensor) present. This pointed to a glow plug fault contributing to the DPF problem. We continued with our assessment to rule out other issues. On further investigation we found two issues with the car; a dirty air filter and a low coolant temperature. There were multiple issues to address before considering cleaning the DPF. plugs was sensible due to the time involved in removing the intake manifold to access them. Because he wanted to keep his car long term, it was agreed we would change all six, as well as the control module. Whilst the car was stripped down, we would also fit new thermostats and service the car to take care of the dirty air filter and introduce good quality engine oil etc. We used a JLM engine oil flush and added a can of JLM Diesel Extreme Clean to the fuel tank so the engine would run as efficiently as possible after the repair. It’s important we address these problems before tackling the DPF or the DPF would quickly block up again with the car unable to regenerate successfully on its own. 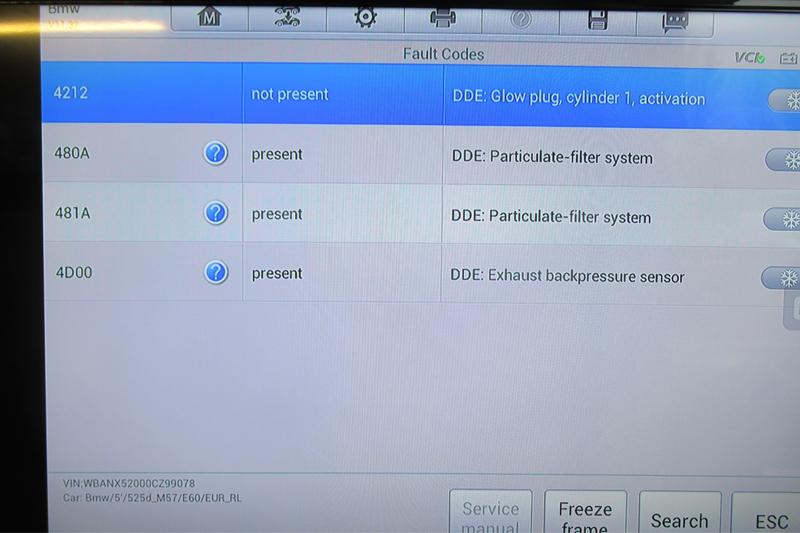 The DPF blockage was a symptom of these faults; not the cause. We then moved to the easy part, cleaning the DPF! Our tool of choice was the JLM DPF Cleaning Tool Kit used with the JLM Clean & Flush. 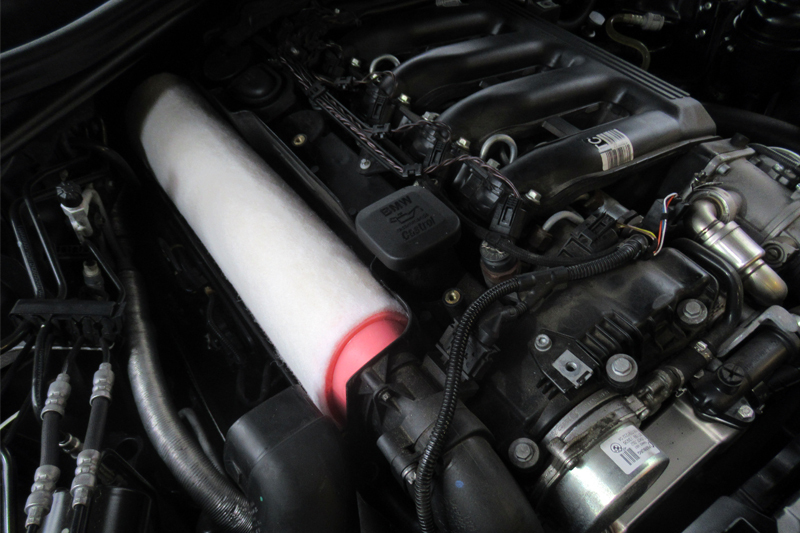 We used this because it effectively cleans the soot from the DPF in-situ at low temperature. The JLM stage one DPF cleaning fluid was pumped directly into the DPF via the DPF pressure sensor pipe and left to soak for five minutes. We then ran the engine for five minutes to allow the cleaning fluid to work its magic. The DPF was then flushed with the JLM stage 2 DPF Flush, and the engine was left running for a further five minutes. Next up was an extended road test whilst recording serial data to analyse back at the workshop to confirm the car was back to full health. After road test we measured the DPF back pressure again: a very clean DPF with 3.2 MB at idle. 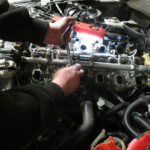 We confirmed that the coolant temperature was now good and there were no glow plug or DPF fault codes stored in the ECU. The car successfully completed a regeneration on-road test so we knew it could take care of itself. All that was left was to advise our customer of the correct driving conditions that would allow his car to regenerate on a regular basis so that unnecessary DPF problems could be prevented in the future. For more information from the DPF Doctor, click here.